Four kids, a mini-van and a lot of love: Chase's Sports Class & more! Chase's Sports Class & more! Chase can't wait till his second sports class tomorrow. He absolutely loved his class and loved that all they did was play sports. Last week was basketball, this week is floor hockey and next week will be soccer. Then the last two weeks, they get to do a mixture of all the sports. He is such an active kid, when he isn't playing the Wii, throwing a football around in the playroom, riding his bike, he is begging us to play some sort of sport. 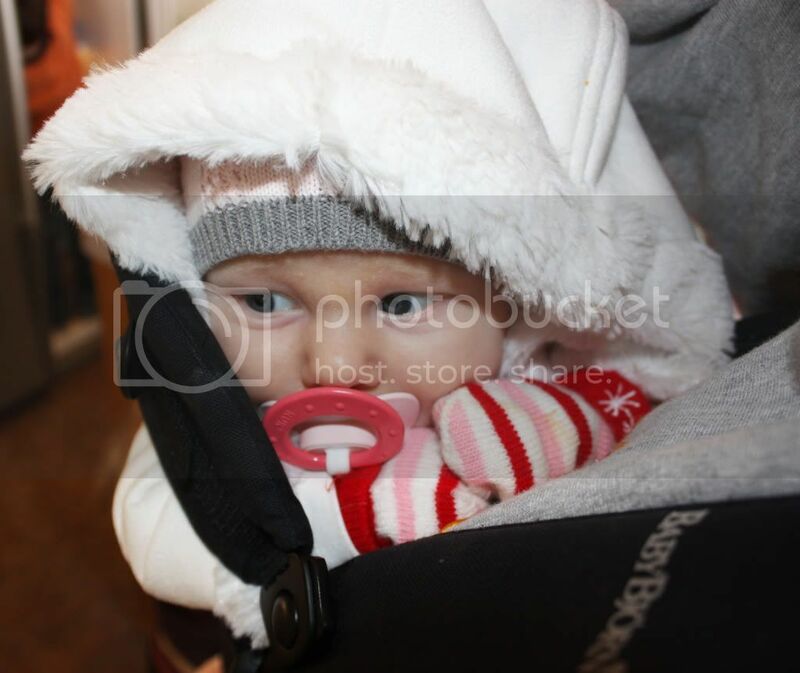 Here she is all bundled up and ready to go on a walk. She loves 'riding' in the Baby Bjorn when we go for walks. Don't forget to enter in my current giveaway to win an adorable Easter bunny ear hat. 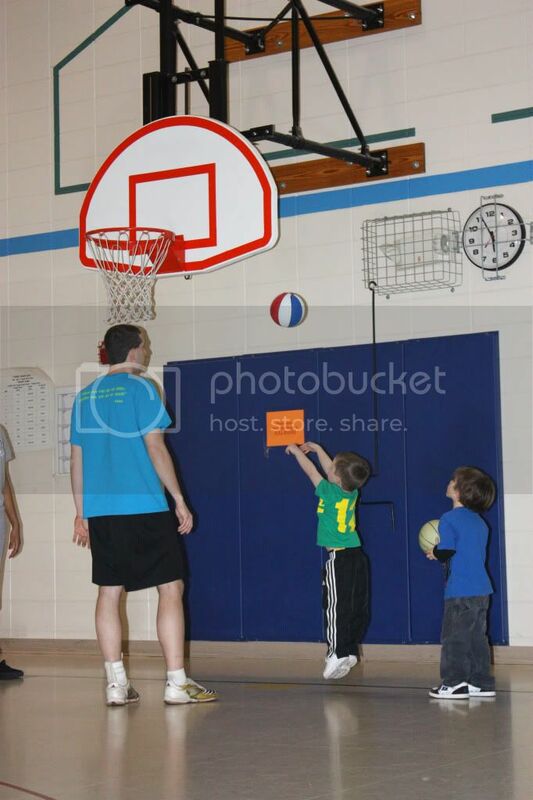 I can see him in the NBA in the future. Great form! Also your b-day, Should I know this??? I'm guessing the end of March? Like March 31st? You are right he's a true sportsman!!!! He does have perfect form, how cute!!! Hope the kids are feeling better. Loved all the pictures. I think I might put my Son in one of those classes! I know he would really enjoy it! I am having my first Blog Giveaway this week! You should come and check it out! oh my goodness! he's a natural! Chase looks like a natural athlete!! I so wish we had something like that for kids around here! I tried enrolling our Riley in soccer for this spring and they wouldn't let her because she didn't turn three until 2 weeks after the season started. UGH! Muffin looks so cozy! It looks like he loves his sports class. The pictures are adorable!